This chorus occurs early in the play Ebong Indrajit (“And Indrajit ”) by Badal Sircar. I read it for the first time when I was eighteen, and stayed up the whole night to read till the final scene. It would not be an exaggeration to say that the chorus which repeats “Ebong Indrajit”, fuelled the imagination of many when it was first performed in 1965 by the theatre group Shouvanik in Muktangan Rangalaya, a small auditorium in Kolkata. Among the people who heard Sircar read the play for the first time for a small, private audience was Samik Bandyopadhyay. “I hadn’t imagined a play like that,” he said. 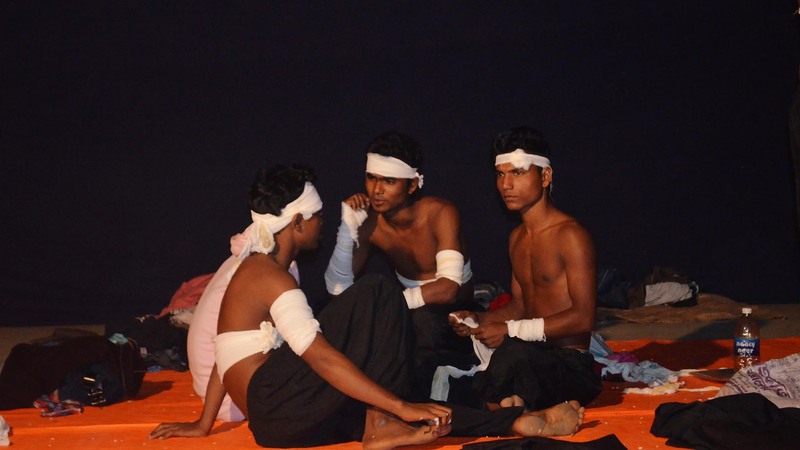 This is the story of Ebong Amra, a theatre group comprising Santhals and middle class Bengalis. 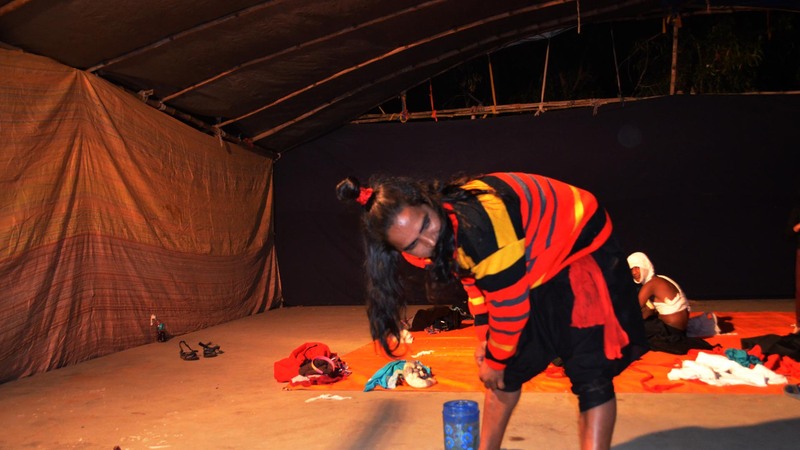 It is easy to use the label “rural” or “tribal” theatre while describing this theatre group, but actually, Ebong Amra stages classics of world theatre as well as canonical plays of Indian theatre in innovative ways. They presented two plays across the three days of the festival – Sophocles’ Oedipus Rex and Dharamvir Bharati’s Andha Yug. The three-day festival marked the inauguration of their “black box” theatre – a small theatre space equipped with panels for lights. The “theatre village” has, so far, got some attention as a tourist destination. Outlook Traveller, for instance, advises you to “spend a day at Tepantar village” after “shopping for ethnic products” at Shantiniketan. India and You, a magazine accessed from the Incredible India website, says, “A group of young men will greet you at a village where theatre and performing arts is one of the main means of survival.” Apart from the village, there are also “young men dressed in tribal attires” waiting to greet you at any hour you choose to arrive at this place, “flaunting a carefree smile”. I did find young men, though not at the gate, and they were dressed in plain clothes, and not necessarily flaunting “carefree” smiles. In the interview with the online journal Kahoon , Kallol Bhattacharya, the director of the group, says he began to build the theatre campus, spread over eight acres, from 1996. “When we started, this was a jungle ,” he says. I don’t know of any other theatre group in India which bought fallow land, built a residential campus with rehearsal spaces, and opened intimate performance spaces, with their own hands. Surely, there must be some way for me to give you this information. Before they became actors, set designers, light designers, they dug up the soil, cleared the forest, and built the theatre stage with their bare hands. They managed the poultry farm that Kallol-da built, taking a loan from the Grameen bank. They fished; they cultivated the land in winter. The members know, literally, the land they perform their plays in, just as they know composition and light blocking. It was in this space that the group performed Oedipus. 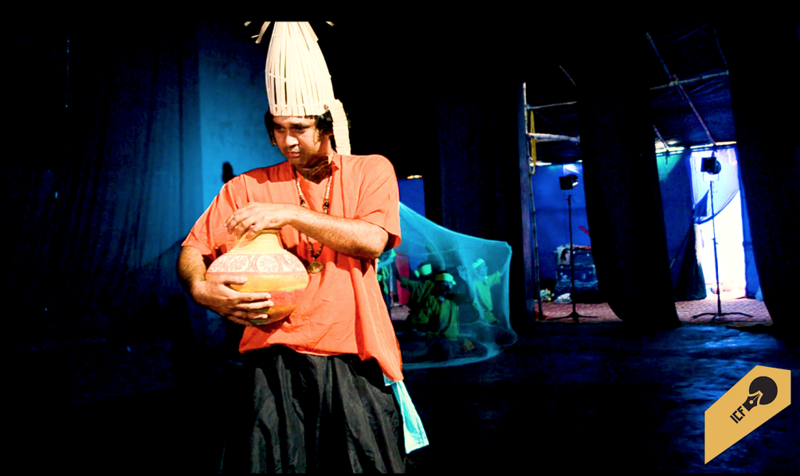 Having seen a performance of the same play by a Kolkata-based group Drishyapat in 2013 – which had the leading actor of the Bengali stage, Debshankar Halder, in the role of Oedipus – I say without any hesitation that Ebong Amra showed greater maturity in their interpretation of the Greek play. Sufi, who played Oedipus, showed a subtlety that Halder’s exaggerated histrionics often overlooked. He, too, is a Santhal; he joined the group in 2004. I met him for the first time after the performance of Andha Yug. He accompanied us to our guest house after he had been Dhritarashtra in Andha Yug. “How did you prepare for the role?”,I asked. “Watching Pasolini’s film Oedipus helped the most”, he said . Sufi, and other members of the group, bring a vision to their work that is far beyond the scope and range of their place. Yet, at the same time, their location in Satkahania determines their approach to these ideas. They introduce the classics of world theatre to a small village, and, at the same time, introduce the classics to Satkahania. Watching them perform, I learnt of the possibilities of retellings and adaptations. In Tepantar, the plays adapted themselves to Satkahania, just as the members adapted their performance space for the plays. 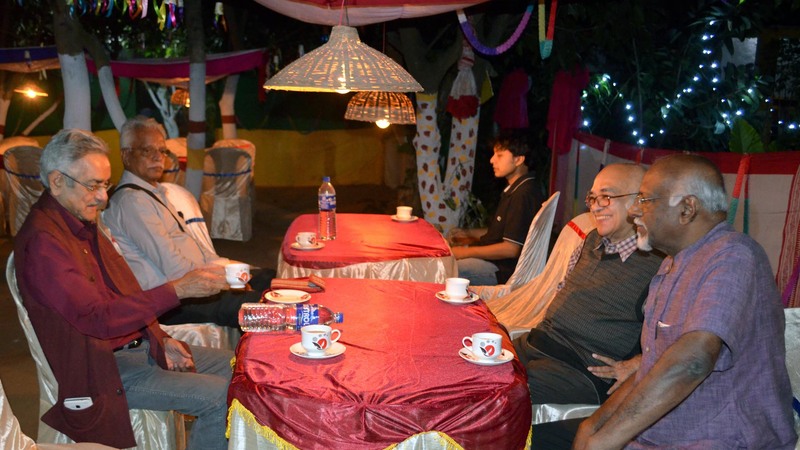 Read Rajeev Naik's interview from Tepantar Theatre Festival here. Read our interview with Maya Ghosh from the Tepantar Theatre Festival here.